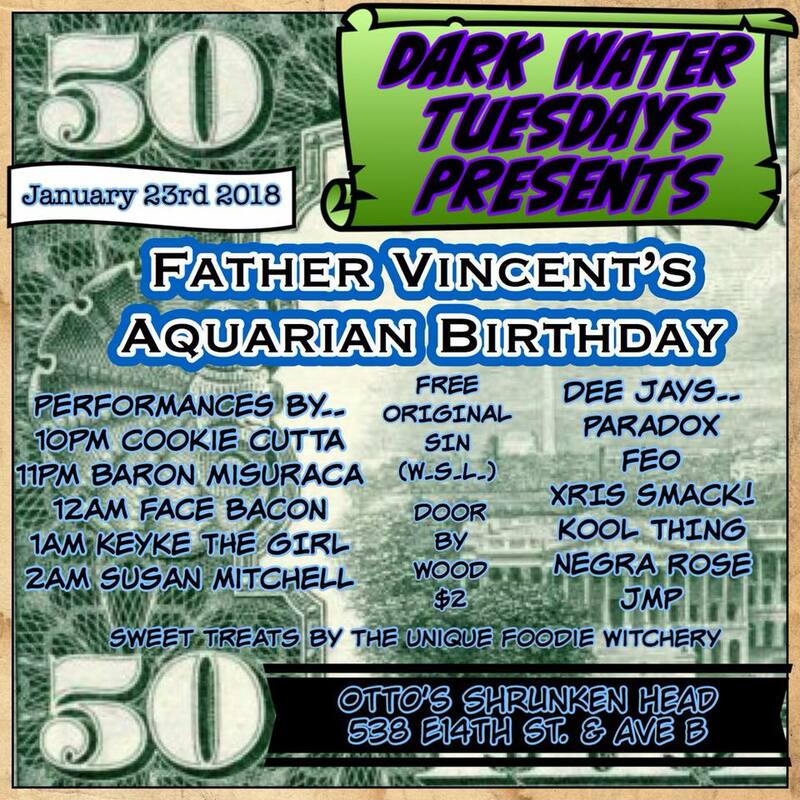 01/23/18 – DARK WATER presents Father Vincent\’s 50th Birthday gala! DARK WATER presents Father Vincent's 50th Birthday gala! Father Vincent's 50th Birthday gala at DARK WATER! with DJ's and Performances all night long!